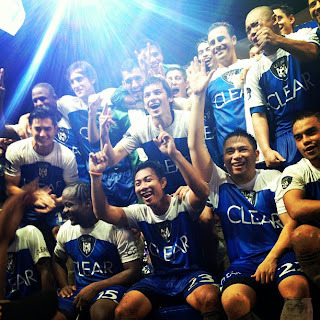 It was Phil Younghusband's team who won against his brother James' team, 5-1, during the first CLEAR Dream Match held August 25 last year at the University of Makati Football Stadium. Phil scored 3 of his team's 5 goals, while James scored the lone goal for his team. 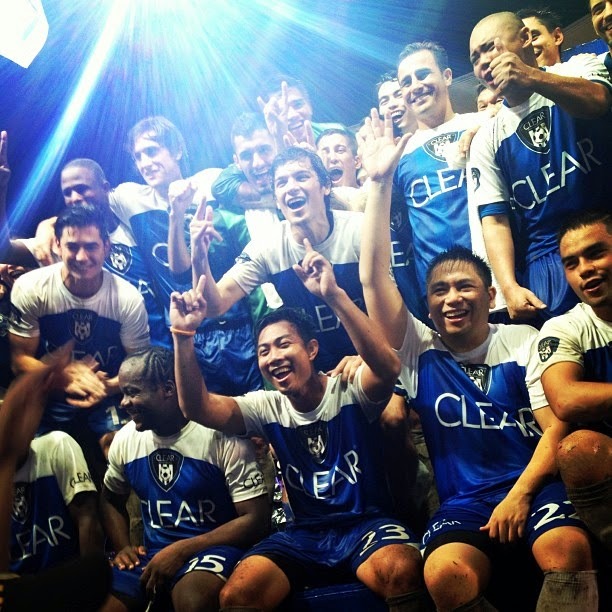 But on the 2nd CLEAR Dream Match held earlier tonight, Aug. 24, at the same venue, it's now Team Phil who won, 4-1, with James hitting 2 of the 4 goals (at 13', 25') and Phil giving his team an early goal (4'). Izzo El-habib scored the other 2 for Team James (35', 60'). While for some it looked like Phil gave way to his brother's team this year to build up early excitement for a possible 3rd CLEAR celebrity match next year, Team James actually had a stronger lineup this year than Phil's. With James and El Habib was Italian footballer turned coach Fabio Cannavaro, who was Italy's team captain when they won the 2006 World Cup. Fabio was then among the All-Star Team awardees. Araneta and Brazilian-Japanese model-actors Fabio Ide and Daniel Matsunaga. 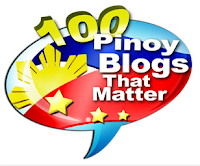 Rosario, TV host Sam YG and more. Garmaroudi and Ashime also won same awards last year, but that time, they were both under Team Phil. The Team James vs Team Phil CLEAR Dream Match 2 was also for the benefit of the flood victims in Metro Manila and other Luzon areas. It was aired by TV5 and IBC.